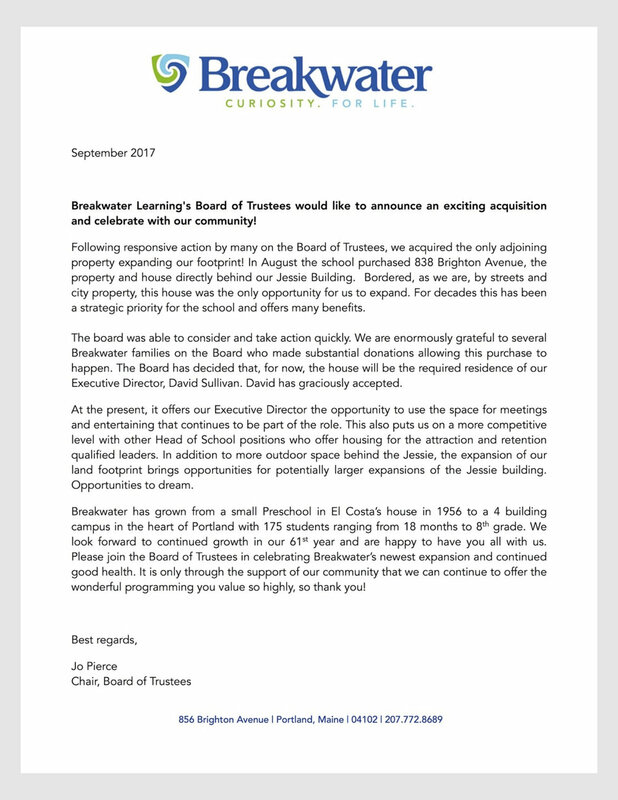 Breakwater Learning's Board of Trustees has exciting news! Breakwater has been able to acquire the only available property adjoining our campus. In August the school purchased 838 Brighton Avenue, the land and house directly behind our Jessie Building. Please read the letter from Jo Pierce, Chair of the Board of Trustees, announcing the acquisition and it's use!